This is a long read, but it's for a worthy cause! The following was written with Travel Images Photography Tours clients in mind, but if it's of help to you too, then that pleases me greatly. To get the most from your trip it’s really important that you leave home with the right equipment for your needs, and have a decent working knowledge of it. If you're still on a 'camera setting learning curve' when the trip starts, then I'll most certainly help you with that. Achieving optimal images starts with the right camera gear and knowing how to use it. As you become more proficient, you’re more likely to achieve the quality of images you expect. But, let's not forget that you have to 'see' an image first, and during our photography tours is where I can help you most. With all the advances in digital photography there are a lot of new learning curves, but please know that you’ll receive all the help you need on my trips. BUT FIRST . . . Because the list below is extensive and perhaps overwhelming I want to simplify things by sharing a short list of equipment essentials that are recommended for the majority of our photography tours. OK, let's get to the equipment side of things in more detail . . . These days most folk opt for either a digital single lens reflex camera, a DSLR for short, or a 'compact' digital camera also known as a 'point and shoot'. Film is still around but is confined to owners of a time-traveling D'Lorean! Many versions of the compact digital camera are armed with many of the same settings found on DSLRs, but the latter scores in regard to the choice of lenses, both wider and longer. Newer compacts have better zoom ranges, but - at the time of writing - shutter lag is often an issue, though they score when it comes to price and portability. So, one has to weigh up the pros and cons and make choices based on price and personal photographic intentions. Whatever your choice, think seriously about taking along a back-up camera as there is a much higher failure rate with digital cameras than there ever was with film cameras. A second DSLR body can also be used with a second lens, i.e., one camera body has your shorter lens/zoom on it, and the other body a longer lens/zoom. Highly useful on our trips with wildlife about. Perhaps your Smartphone is your camera of choice? That being so you not only need a phone with plenty of megapixels and a good lens, but an app that permits full flexibility with similar settings to your camera. If this is you, then we can recommend the Camera FV-5 app. Digital cameras are loaded with multiple options, so do at least please learn the basics of its use before you leave home . . . and bring the camera manual along! I’ll not make specific camera setting suggestions below, only general ones due to the many different designs of camera out there. However, do please get to know how to adjust and make full use of the following settings . . .
A or Av - Aperture priority for control of depth of field. S or Tv - Shutter priority for shutter speed control. P - Program for 'normal' and ‘point and shoot’ situations. M - Manual for control of Aperture and Shutter speeds. Of the other ‘auto’ settings on a DSLR, the Sport setting is very useful for ‘grab’ and action situations as it automatically selects a higher ISO, the servo ‘tracking’ focus setting, and continuous drive mode . . . everything you need for grab shots of moving objects. Don't ignore Program mode, as you still have the ability to change the shutter speed and aperture settings in relation to each other. Program mode is also very handy as a quick go-to setting when time is of the essence, as it'll generally choose a fast shutter speed which is handy for candids, action and wildlife. Evaluative – Evaluates the exposure from the entire scene in your viewfinder. Ideal for most lighting situations. Spot or Partial – Reads off a specific area in the viewfinder. Be wary of this metering method unless you know what you’re doing! 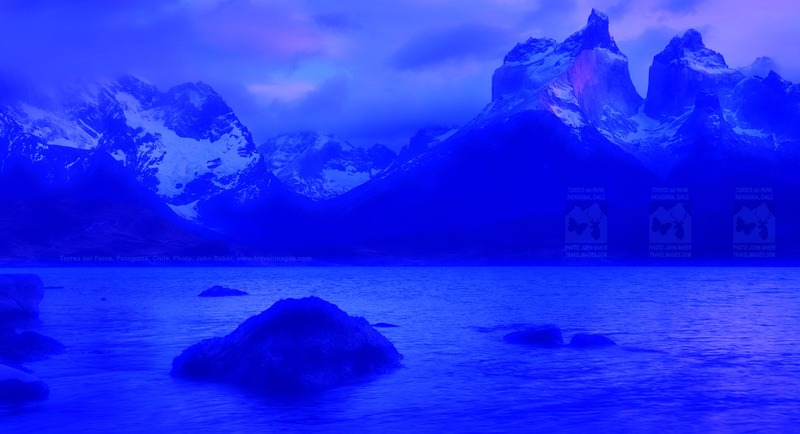 For instance, it’s dawn in the mountains and the peaks are well lit, while the foreground is in shade. If you ‘accidentally’ meter off the foreground you’ll lose detail in the peaks, when you should actually be metering for the highlight, i.e. the peaks in sunlight. Your shutter release options are as follows . . . Single frame: Does what it says. Press the camera shutter button and one frame is fired off. Continuous/drive: Useful for action such as wildlife and sport of course, and also useful when bracketing. If both continuous/drive and bracketing are selected, keep the shutter depressed, and exposures will cease after three frames. Self timer: Generally for tripod use. You can set this shutter delay mode for 2 or more seconds. Avoid contact with the camera and tripod after triggering the timer. Cable or wireless remote: Same rules apply as for the self timer, except you are using the remote to fire the camera and not the camera's shutter release. I don’t care what they say, if you’re going to photograph a black cat in a coal cellar or a Polar Bear in the snow you’ve got to compensate for what the camera meter thinks you’re exposing for. Learn how to set the compensation for such subjects, but also get to grips as to why one over-exposes for snow, and under-exposes for a black cat in a coal cellar situation . . . a frequent occurrence of course! Remember those sunlit peaks? Well, your exposure lock function is useful for locking the exposure read from those mountain peaks. You then re-compose the scene by tilting your camera down to include the foreground. You now have the correct exposure for that particular situation. First the why . . . for creating HDR images, and getting the best exposed image from difficult lighting situations. Recommended if you shoot jpegs as you can edit for your best exposure later. In the meantime you’ll know you have at least one correct exposure which enables you to move onto your next subject. I suggest bracketing two thirds of a stop either side of ‘normal’ as a third of a stop exposure difference isn’t sufficiently discernible. As RAW files have more exposure latitude than a jpeg, exposure bracketing isn’t particularly necessary as any exposure discrepancies can generally be corrected when processing the file. Another reason not to bracket when shooting in RAW format is the file size. They're much, much larger than jpegs and you'll use up your memory card and computer hard drive space a lot more rapidly. Being able to change the ISO for perhaps just one shot is a great advantage of digital. But beware, as you might shoot in low light late in the day at an ISO of 800 or even 1600. That serves its purpose, but the trick is remembering to put your setting back to 100 or 200 ISO the following morning, which we recommend for general shooting. Of course, if you're using a tripod in low light there is no need for a high ISO unless a moving subject dictates that you should use a higher ISO setting. Never ever use auto ISO while using a tripod in low light. Image quality is greater in the lower ISO range, and even though your tripod enables you to use a lower ISO, your auto ISO setting doesn't know that you're using a tripod. Auto ISO should be saved for those rare occasions where you're shooting by hand in very low light. There are pros and cons about each option, and I can only suggest you read up on this subject and draw your own conclusion. Most importantly though, know why you chose the option you did. Sure, you can get thousands of images on one memory card if you set the image resolution on the low side, but I suggest you look ahead to the possible use of the image in the future. You might just want a substantial enlargement made, so go for the highest resolution your camera permits. If you wish you had a larger megapixel camera try this . . . instead of exposing one image of say a ‘horizontal’ scene, switch to vertical, zoom in, and expose several frames to cover your original composition. You then use your image processing software to stitch the images together, thereby achieving a larger file size. Simple, huh?! The above also applies to situations where your widest lens isn't wide enough. Just take two or more overlapping images and stitch them together. The advice is nearly all manual, i.e. manual exposure and focus for each frame. Use a tripod if possible, but shoot hand-held if the need arises as the software will do the rest. Adjustable for cloud, sun, indoor lighting and so on, but consider leaving this set on auto as it works well in over 90% of the situations you’ll find yourself in. In any case, forgetting to change it back after a particular shoot can get you in far worse trouble. If you opt to shoot in RAW, the white balance can be adjusted at the processing stage. Jpegs can be 'fixed' too, but your options are limited when compared to a RAW file. Manual – Speaks for itself. Auto Focus/One Shot – Your camera will not fire until auto focus system is able to lock onto the subject you specify in your view finder (see Focusing Points below). AI Servo – Tracks the movement of your subject. Ideal for action. AI Focus – Automatically switches between single and servo auto focus based on subject status. When using the auto focus option, learn how to adjust and lock the auto focus points within your field of view. This speeds up your response time, and you’re more likely to capture both a moving subject, or quickly adjust for the optimal focusing spot in a landscape. This is most commonly done by depressing the shutter half-way down, but some camera models offer other options via various programmable buttons. Have you ever had trouble viewing your images on your LCD screen when outside in bright sunshine? You're not alone as we all have, and have resorted to moving into the shade, covering our head with a jacket and so on. Solution: An LCD loupe. Many of us used loupes in ye days of olde for looking at slides on a light table, and today's LCD loupe is similar except that extraneous light is kept off the LCD screen by the black-sided loupe. It is important that you buy a loupe that is focusable - i.e. the eye-piece rotates - as a fixed-focus loupe might not be sympathetic to the state of your eye. We've come a long way from the cable release of old as today we have electronic releases that are wireless and work at ranges of 300 feet and more. I don't use a cable release often as I'm fond of the camera's built-in self timer. A standard cable release is useful, but with the advent of digital photography has come an increased interest in night sky photography from star trails to the aurora borealis. A cable release is essential for this type of photography, but even more useful is a release that incorporates an interval timer and many other features. For example, you can program the release to take pictures at any given interval, and at any given exposure. This probably sounds ideal, but pricey, right? Not so! Check out what JJC have on offer in their Amazon store here. To help with the learning curve check out JJC's YouTube tutorial here. Before you buy, see what is new on the market before making a purchase, because your favorite lens may have been superseded by something with better specifications. The debate continues in regard to the better of zoom lenses and fixed or prime lenses. Zoom lenses offer fabulous convenience, so it’s hard to ignore this option, right?! Fixed lenses are faster and sharper, right? Well, all I can suggest is that you do your homework then decide for yourself, and again, do make use of the site linked to above. A useful addition to lens technology in recent years is the advent of image stabilization/vibration reduction/optical stabilization [IS/VR/OS], the term varying from one lens brand to the next. In a nutshell it reduces camera shake, but should be turned off when your camera is on a tripod. After a macro lens, your options in regard to getting close to your subjects are down to close-up filters, or extension tubes. The latter is placed between the camera body and lens, but despite the ‘inconvenience’, they are my preferred choice for close-ups. However, do make sure your choice of extension tubes brand is compatible with your camera, and that no automatic features are lost. First off, keep lens changing to a minimum to prevent dust getting into the mirror box and sensor area. When you must change lenses, pick a spot free of airborne dust. To test your sensor for dust set your lens at its smallest aperture, and take a picture of something uniform such as a light sheet of paper. Enlarge the image, and if dust is present on your sensor you’ll see sharply defined specks. There are several schools of thought on how best to remove dust from sensors, and my first course of action is to use a strong blower. If some dust can’t be dislodged with that method, I then move on to a soft statically charged brush, then follow up with the blower again to finish off. The trick is to have no or minimal contact with the sensor area. I recommend you look into this subject further as there are several other methods of sensor cleaning available, but do leave the Brillo pad under the sink where it belongs! Compressed air is likely to leave some moisture on the sensor and isn’t recommended. Before you attempt any method of sensor cleaning, make sure you understand the instructions in regard to the process, and know what your warranty covers. One last thing, before cleaning the sensor blow away the dust around the rear element of your lens, and the mirror box of your DSLR. Even your rear lens cap. Not doing so is likely to trap dust just where you don't need it. It must be said that the need for some filters has declined of late in view of what can be achieved with Adobe Photoshop or similar software. However, I do recommend at the very least that you have with you the following filters . . . Neutral density: Helps in achieving longer exposures in any light. ‘Slowing down’ a waterfall comes to mind, but more importantly a river, ocean or cloud 'motion' at twilight can be quite stunning with a long exposure. Go here for an example. The 'denser/darker' your neutral density filter, the better. One to four stop filters are OK, but for real impact plus the ability for long exposures in broad day light, a nine-stop filter or 'variable' neutral density is highly recommended. Google ND2 to ND400 for the latter, but beware the 'off-brand' low-cost versions that will likely degrade your image . . . help yourself by Googling the brand before buying. Hoya has an NDX 400 that I own and love, but it isn't variable. When using threaded filters combined with wide-angle photography, avoid using more than one or two or you’re likely get vignetting. Pleeeeeease, do yourself a favor by not using a tripod with a plastic head! Ball Heads with a quick release plate are highly recommended for purposes of quick set-up and flexibility. A two button/knob ball head works better than one. You'll need the second knob for controlling left and right panning. If accurate registration of stitched images is important to you, you'll know what I mean. I don't recommend older style 3-way heads unless your camera and lens combination are very heavy as they'll slow you down. Try before buying if possible. Do not use an extremely lightweight or plastic tripod base as you’ll defeat the object of owning a tripod. You need stability, not travel convenience! The dilemma is, most folk don’t want a heavy tripod, and an overly fragile tripod is not advisable. So, a compromise is necessary, i.e. the lightest available tripod that is stable with a long lens attached to your camera body. The answer is carbon-fiber as they're light and sturdy. The best way to pick one out is to head to a camera store with a wide selection of tripods, and take your camera and largest lens along too. Select a tripod base that is around the level of your neck, and is sturdy when a moderate to large lens is attached. The more you raise the center column, the less stable the tripod becomes. Keep the column as low as possible for the best stability. In some cases you can remove the center column entirely, which has the added advantage of enabling you to get closer to the ground for macro shots and suchlike. I recommend Manfrotto - originally Bogen in US markets - for choice, stability, and quality . . . and no, I’m not paid to make such a suggestion! Despite my preference, there are many other good brands out there, so go to an online photography equipment store and search for 'Tripods'. Better still, visit your local camera store. They're not just for sport and wildlife photographers as I use mine for nature close-ups too. Anyway, the longer your lens, the more likely you'll get camera shake with or without an IS/VR/OS lens, so the added stability of a monopod is not to be ignored. However, a monopod is not recommended for long exposures. I don’t recommend the micro-drive card types as they have moving parts, and you know what happens to computer hard drives eventually! Corruptions are extremely rare these days, so don’t be afraid of large capacity memory cards . . . especially if you shoot in RAW mode. As camera file sizes get larger you’ll be changing cards constantly if opting for smaller capacity cards. That’s also a headache when you're downloading your images from several cards instead of just one. For general photography the in-camera processing speed to the memory card may not be an issue, but when shooting sport or wildlife on drive, i.e. multiple frames per second, the write speed is relevant. For such purposes you'll need the highest number relating to 'MB/s' - megabytes per second - that you can find. I suggest you write on your memory cards in permanent ink, ‘Reward for return’, and your email address. This may be a blessing in the event of loss. Ever left your memory card in your computer after downloading, then miss it when out shooting? Yep, I've been there, done that, so I now carry a spare card in my wallet. Oh, and to prevent a ‘blank card’ disaster, make sure your camera provides a warning when there is no memory card present. Your camera setting for this could be construed as ambiguous, so to test yours take the memory card out, turn on the camera, then try to take a picture. If you don’t get a ‘No CF Card’ message, change the setting so that you do receive that message. When traveling, it’s important that you have a backup of your images. Your choices are . . .
To see the latest technology in this field do an online search for 'Memory Card Back-up Devices', or 'Digital Media Storage Devices'. Most of those listed are compact units with memory card slots, and you're able to view your images and move them about. Other options are . . .
A laptop with sufficient hard drive space available, especially if you shoot in raw. An external hard drive. There are USB powered units on the market that need no AC power. You’ll need to connect to a laptop to transfer your images. Dedicated DVD burners for up to 4.7 gigabytes. No computer is needed as these units burn discs directly from your memory card. A laptop for burning 4.7 gigabyte DVDs. If your DVD burner is capable of burning dual layer discs you can burn over 9 gigabytes worth of data to a disc. You could just leave your images on large memory cards as some of our clients do, and transfer your images when you return home . . . just don't lose your cards! The advantages are that you can shoot twice as long, plus you have additional controls when shooting verticals. Many off-brand battery grips work just as well as the camera manufacturer's originals, but at much less cost. Read the reviews before purchasing! Make sure you buy one that permits essential camera’s functions, as some cheaper models don’t. Charge all batteries before you leave home. Don’t rely on just one or two, but carry sufficient spares plus your charger/s. We are able to charge batteries on our vehicles, but we may need your charger to do this. On our winter trips keep your batteries warm when not in use. A pocket works well for this. If your camera wasn't designed with a dedicated rechargeable battery pack, and takes only AA or AAA batteries, alkaline type batteries will cost you a small fortune and a lot of frustration. The alternative is to use rechargeable NiMH batteries, with Eneloop brand being the only NiMh we will recommend. Pentax users take note! First off, look at the 'input' on each of your devices you intend taking with you. If it reads something similar to 100v-240v then you do not require a transformer. You will just need an adapter for the country you are traveling to. Leave your *power strips at home wherever you may hail from, as those with a 'safety trip' need the correct voltage. We suggest that you buy a power strip when you get to your destination, but remember that you'll need an adaptor for each item if plugged in at the same time. Alternatively, look for a 'Universal power strip' on EBay or Amazon. They are 100-240 volts, and will cover all your needs. It's what we use ourselves. There are many options available for carrying your gear – hard and soft cases, and back-packs etcetera. Let's look at some options . . .
Soft cases can come in the 'on the shoulder' variety or as a backpack. The latter is useful if you're a serious hiker of course. Hard cases protect gear well, and those made by Pelican are waterproof. Hard cases can also be sat or stood on, which is useful on some occasions. Cases and bags that have rollers. Useful in airports and suchlike, with both hard and soft cases being available with this feature. An interesting variation on the soft case I've seen some of my clients with lately are the ‘hip packs’ used for day hikes and by sports enthusiasts. Usually there are two padded areas in the belt intended for carrying water bottles, and they appear to be the perfect size for holding and protecting a couple of lenses. Just an idea if you’re looking for something practical and light-weight for use in the field. Personally . . . I picked out a medium sized roller case at a luggage store - one that fits in overhead compartments - then bought a foam block to fit. I then cut out the shapes for my lenses, camera bodies and accessories etcetera. I have to say that for me personally it is the perfect camera case, but doesn't look like one and therefore perhaps, not a target for thieves. When customizing your bag compartment set it up so that your lenses are already attached to your camera bodies. That way you'll be ready to shoot at a moments notice. To print this document go here.